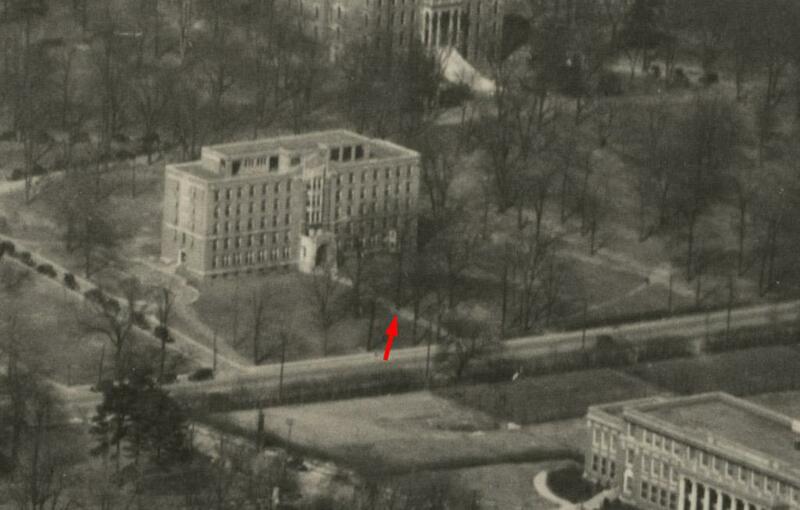 This aerial photo from sometime between 1928 and 1932, the southern red oak 2-123 can be seen in the middle of the sidewalk from the front door of the School of Nursing to 21st Ave. S.
Date sometime between 1928 and 1932. In documenting image, red arrow shows the location of souther red oak 2-123. "Vanderbilt University Special Collections and University Archives photo pc.cas.aerp.013" If possible, link to the stable URL for this page.